[Day 1] Welcome to Osaka! [Day 2] Explore Osaka, best city for street food!! Okayama is one of the start points visit to Naoshima Island & Shodoshima Island !! Worth to visiting places in Okayama. ●You may also like below articles. 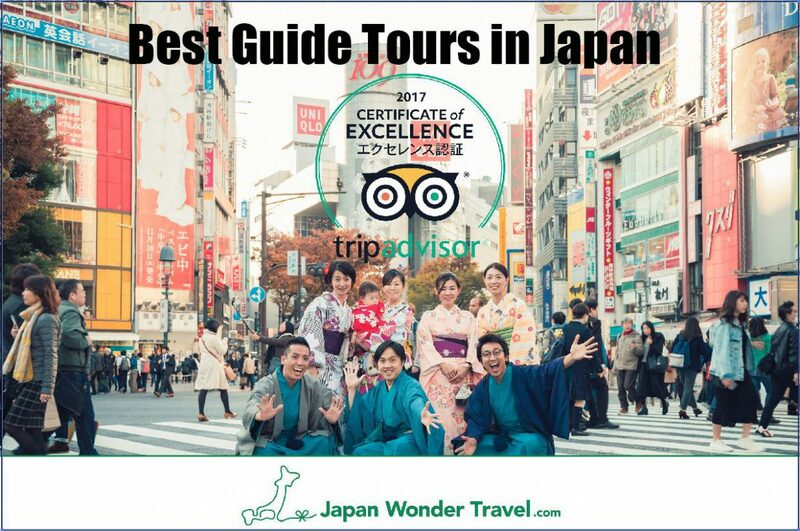 If it is first time for you to travel in Japan, you may make a plan to visit & stay in Tokyo at first. Since Tokyo is one of the biggest and most famous cities in the world, you feel it is must-visit place. But if it is second time, stay longer in different area. 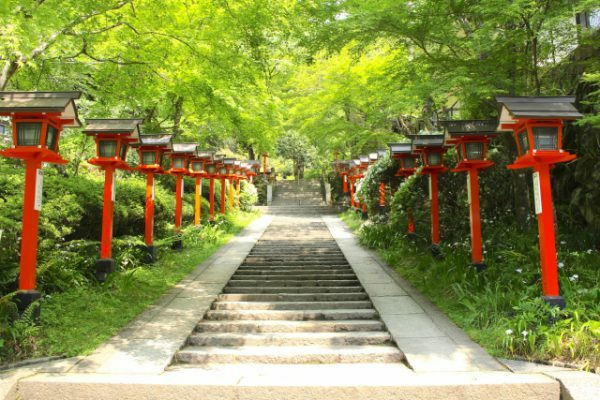 You could find many beautiful places and learn more traditional and deep Japanese culture there. 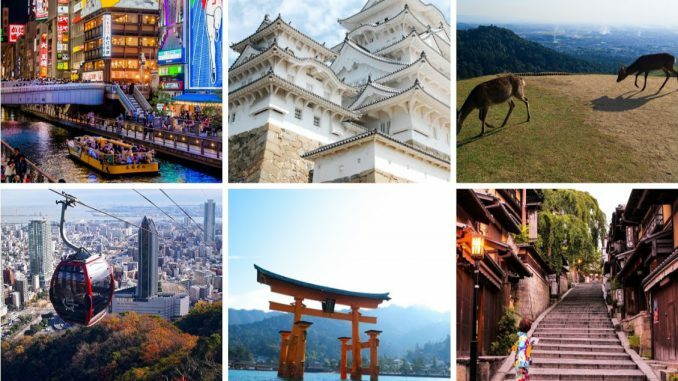 Especially, Kansai region (Central of Japan such as Kyoto, Osaka, Kobe, Nara) will come to top of your list. Also, you can go to the other areas as one day trip from Kyoto or Osaka. 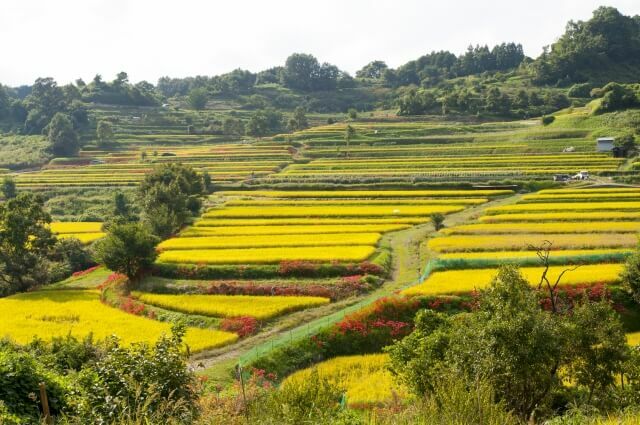 The following itinerary is for travelers who have more interest in Kansai region than Tokyo. Recently, KIX (Kansai International Airport) in Osaka has increased international flight service. 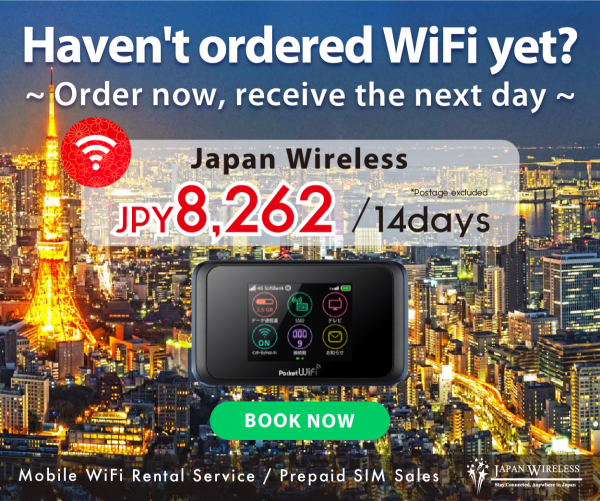 You can activate it at KIX, Osaka Station, Shin-Osaka Station, or Kyoto Station. On 2nd day, let’s explore Osaka city. 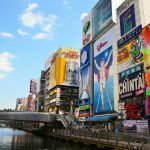 Osaka was featured as the world’s greatest food city in Guardian. 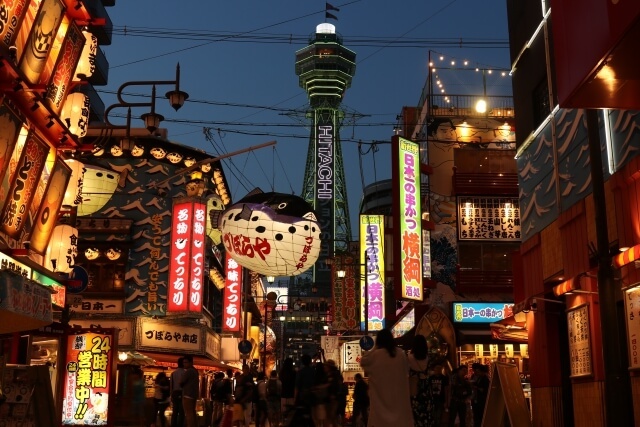 Also, Osaka city is a place where kitschy culture and sophisticated culture are mixed. Here, you could know the depth of Japanese culture. Food is amazing and people are very friendly and open-mind. If you want more details, check the link below. Kobe is 6th biggest city in Japan and there is a breathtaking night view. Due to the beauty, it is said “The Million Dollar Night View” in Japan. That view comes from the miracle location. 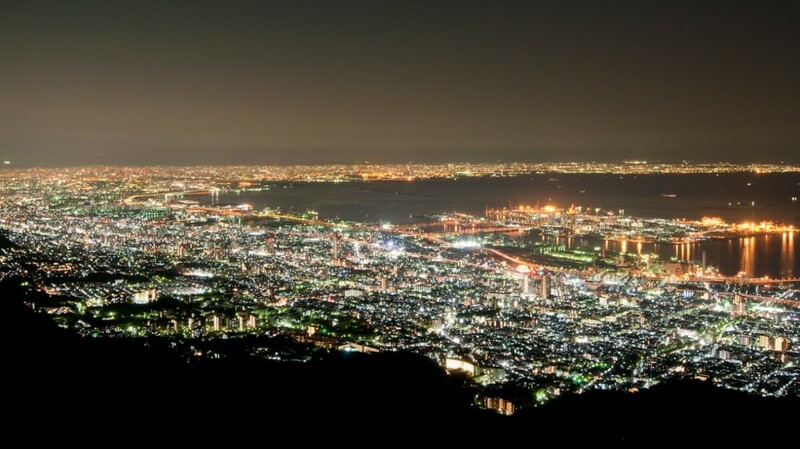 Kobe city locates between Seto Inland Sea and Rokko Mountain. In addition, there are not only night view, but also a lot of worth-to-visit places and activities. We recommend the itinerary on the following link at daytime, and enjoy the view after evening. you have plenty of time enjoy night view here after excellent dinner (Like Kobe Beef)!! Hiroshima is one of the most popular destination among the tourists in Japan. Since there are two widely known World-Heritage Sites. Itsukushima Shrine in Miyajima island and the Peace Memorial Dome – known as the Atomic Bomb Dome. It takes app. one and half hour if you take Bullet Train (Shinkansen) “Nozomi” or “Sakura” from Shin-Osaka to Hiroshima. You can check the suggested itinerary from the link below. 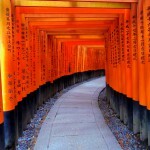 After check out your hotel, you can take a train or subway to Kyoto (App. 30 min.)!! 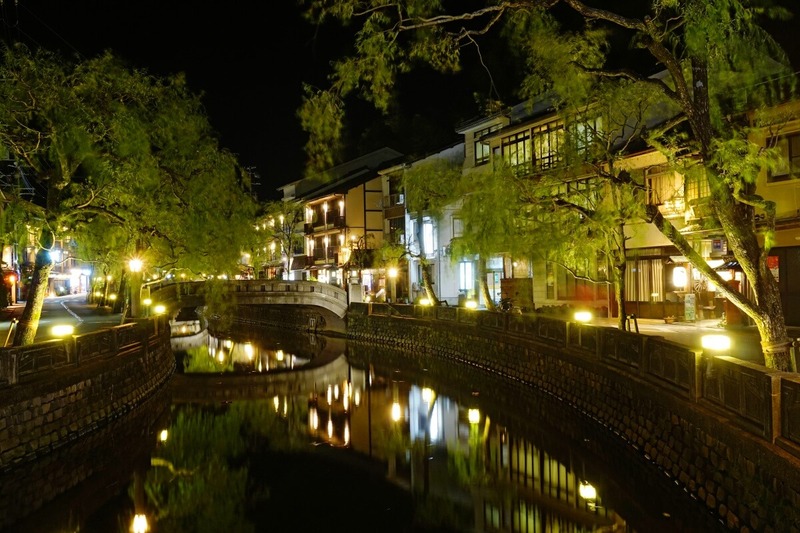 After you leave your luggage in your hotel, explore East or West Kyoto depends on your hotel. you should spend more than 2 days to explore Kyoto city if possible. 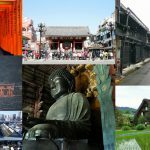 If you prefer nature and history to city and modern life, you should go to Nara, ancient capital of Japan. 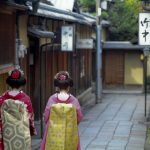 Since Nara is much older city than Kyoto, there is unique traditions and culture. 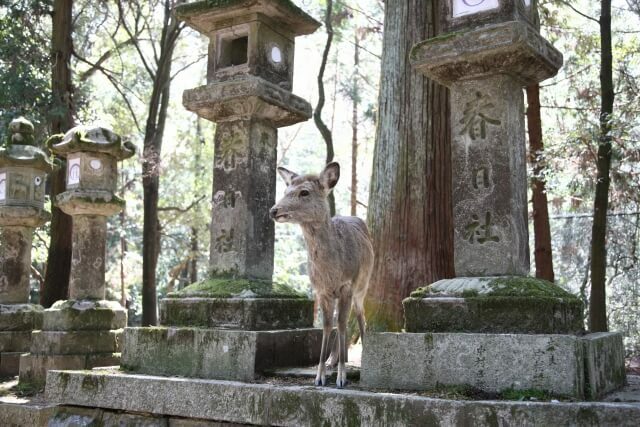 For example, wild deer is sacred in Nara. Also, there are many World Heritage Sites. From Kyoto Station, there is a direct train to Nara Station. It takes App. 50 min by train. If you prefer spending more than 1 day in Nara, there is also 2 days itinerary. Mt. Kurama is a spiritual mountain and good trekking spot from central of Kyoto city. You can go there by bus or train and it takes App. 70 min. from Gion Shijo Station. 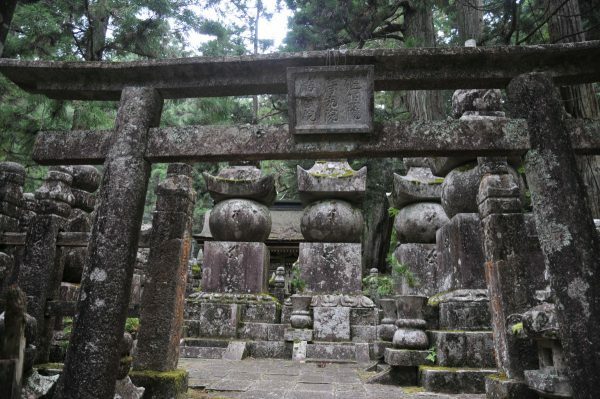 During the trekking, you will go through so many temples and shrines. After you arrive at top, there is a Onsen (Natural Hot Spring). Also, if you prefer, you can head to Kibune area which is known for the beautiful river side view from the mountain. Not only from Osaka, KIX is easy to visit from Kyoto Station. There is a direct limited express train named “Haruka” to KIX and it takes App. 70 min. 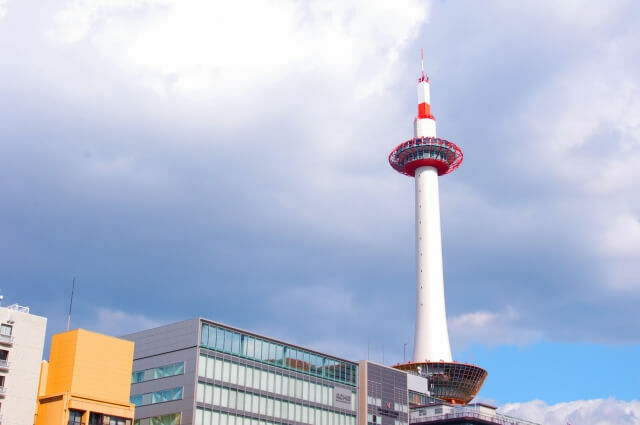 If you have time, climb the Kyoto Tower and say “Good-bye” to Kyoto City before leaving. Or spend a time in Rinku Park beside KIX. This is our suggested way to enjoy Kansai region in 7 days!! Actually, 7 days are still not enough to enjoy Kansai region. Since there is a roots of Japanese culture, the more days you spend, the more you could know about Japan. *This is rough price. We will do our best for you to make your itinerary if you request. The followings are the options if you have more days. 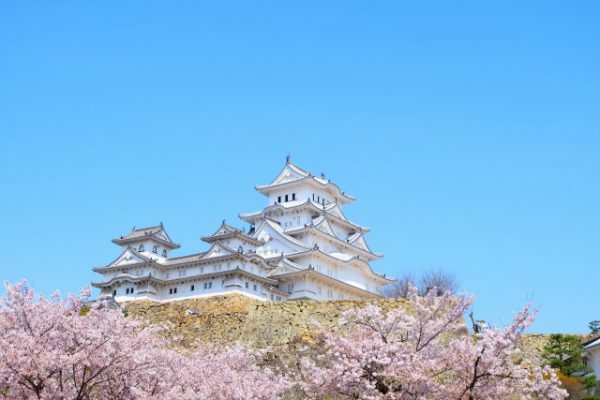 Himeji Castle is a first place which was registered as the first UNESCO World Heritage Site. The nick name is “White Heron Castle” due to the brilliant white walls. The specialty of Himeji Castle is not only the beauty. It was built as a fortress to protect Kyoto and Osaka from Samurai Warrior who comes from far west side of Japan. That’s why you could find a lot of functions for war, here. From Kyoto or Osaka, you can take a JR train. From Kyoto Station, we recommend take a bullet train (Shinkansen). It takes app. 80 min. From Osaka Station, it takes app. 80 min. either local train or bullet train. Miho Museum is one of the most unique museum in Japan and places Shiga prefecture (Next to Kyoto prefecture). The feature is their wide-range collections and their concept “Promoting Beauty, Peace and Joy Through Art”. The collection contains about 3,000 artworks from Japan and the ancient orient. Also, the combination of their architecture and surrounding nature is breathtaking. If you have an interest, see the link below. If you head to far north in Kyoto prefecture, there is a miracle spot created by magnificent nature . 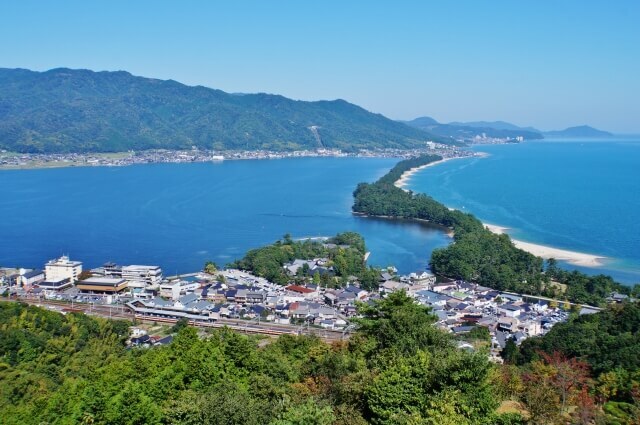 Amanohashidate means the bridge to heaven and is known as three of the most scenic spots in Japan. There are good seafood, white sand beach, pine‐covered seashore. It takes App. 2 hours by JR limited express train “Hashidate” from Kyoto Station. The birth place and first capital of Japan was Asuka. That’s why there are a lot of enigmatic ruins and beautiful rice terrace. The location is south from Nara city. 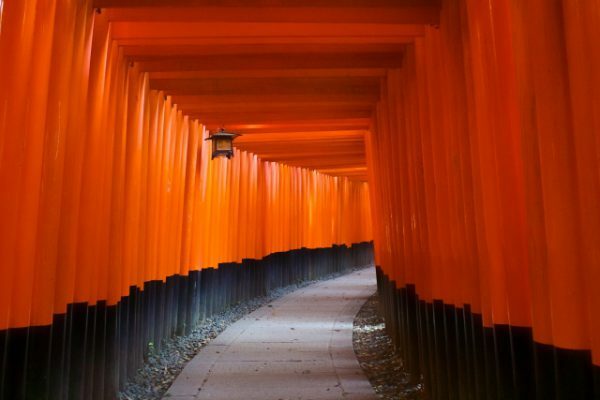 You can visit there from Kyoto, Osaka or Nara as a one day trip. It is highly recommendable if you like cycling because Asuka is very good place to go around by bicycle. If you have more interest, see the link below. It’s not in Kansai region, but you can visit Kanazawa, the scenic city with the greatest Japanese garden. From Kyoto Station, it takes App. 2 hours to Kanazawa Station by JR Limited Express “Thunderbird”. 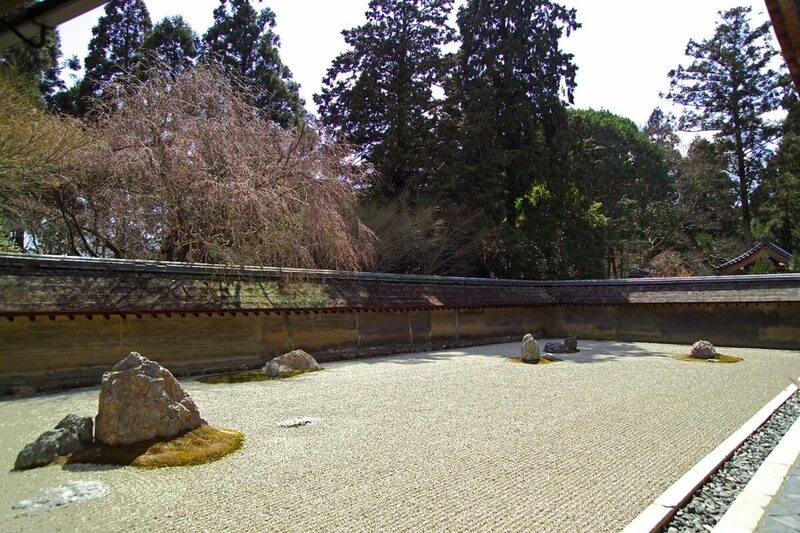 The most famous destination is Kenrokuen Garden, but there are a lot to visit. Such as Traditional Samurai houses, fabulous seafood market, Castle, and prestigious museum. The good thing for 1 day trip is most sites place in walking distance from Kanazawa Station. If you have an interest in trekking as a pilgrimage, the best distination is Mt. Koya. The sacred place of Shingon Esoteric Buddhism. The access is not so simple and you need to have App. 3 hours to go there from Osaka, but it is worth-to-visit place. Due to the special experience by staying in temple lodging, we strongly recommend having at least one night. You can get a taste of a monk’s lifestyle, eating monk’s cuisine (shojin ryori) and attending the morning prayers. This small island places Seto Inland Sea known as Japanese Aegean. 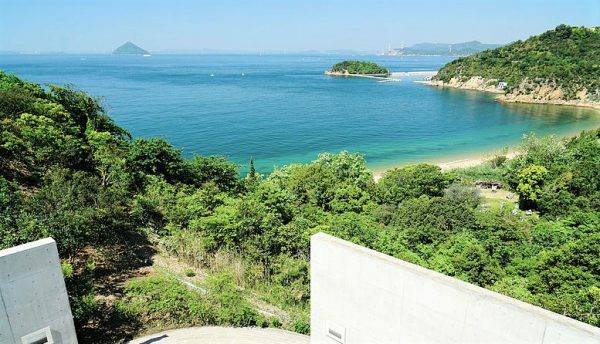 The feature of Naoshima is the harmony of natural beauty, Tadao Ando’s architecture, and Site-specific arts. Since most of the museums are based on the concept to feel and forget time, it is recommended to stay here. If you have an interest to visit there and stay there, see the link below. Shodoshima is also the island in Seto Inland sea. 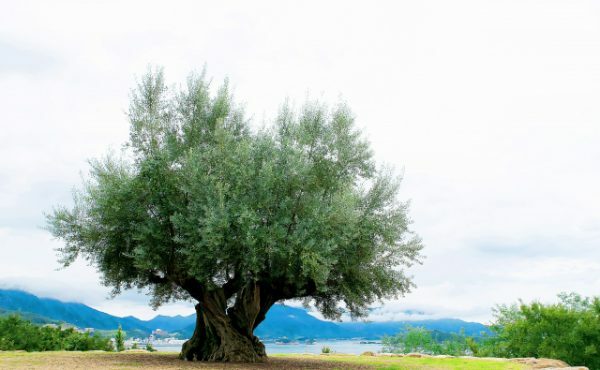 It is well-known as the olive plantations, soy sauce production and Somen noodle. There are amazing white sand beach, Olive Park, and local small village. The most famous place is “Angel Road” which appears only twice a day due to the rise and fall of the tide. If you like to be relax with beautiful landscape, you should come here. Okayama is one of the start points visit to Naoshima Island & Shodoshima Island !! Worth to visiting places in Okayama. If you really want to take very good Onsen, Kinosaki makes your dream come true. This pleasant town, built along a willow-lined river, is one of the top onsen destinations in Japan. There are 7 different Onsen you can enjoy. 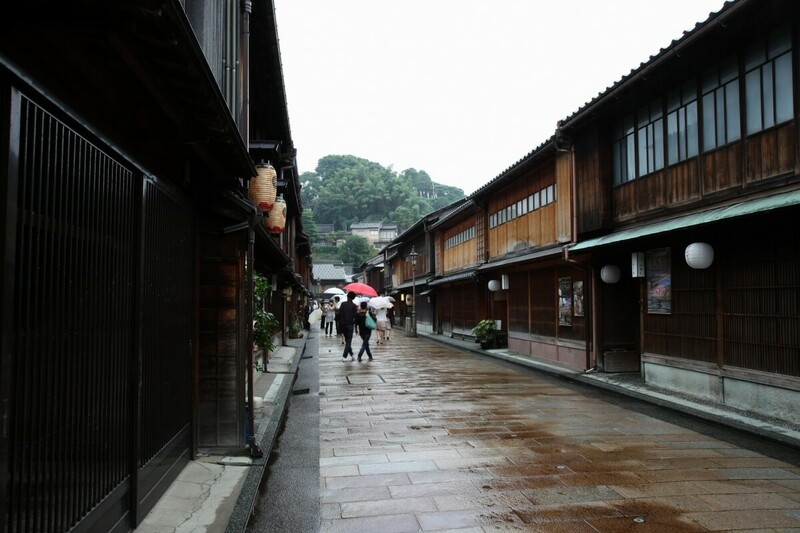 Each Onsen has each history and each hot spring quality. It is fun to explore the town and find those Onsen after evening. You can go there App. 2 and half hour from Kyoto Station by JR train. My wife and I will be traveling in Japan from nov 7 to dec 24. We will be in Tokyo 4 days then Kyoto for 7 days. We would be interested fromKyoto to take tour toNara,Osaka, Himeji, Okayama,Naoshima, Hiroshima, andMiajima. In that 8 day period we would then go back to Tokyo and take day trips for the rest of our tour. We will have rail passes for 21 days. Can you suggest a tour for the 8 days I have mentioned with prices tours and some meals perhaps. Also, sorry for being late to reply. Your travel plan is wonderful. We sent email to your address. So, please check it if you still have an interest in our service. My girlfriend and I will be travelling to Japan on the 23rd September till 30th September. The main highlight of the trip is basically Osaka and Kyoto with all of its offerings. Probably 1 or 2 nights in Hiroshima to see the war museum would be ideal for me. My girlfriend love city life so going to outskirt or village would not be her sort of things. We are both foodies so it would be great if the itinerary revolves around places to eat. Also, do we need JR pass? 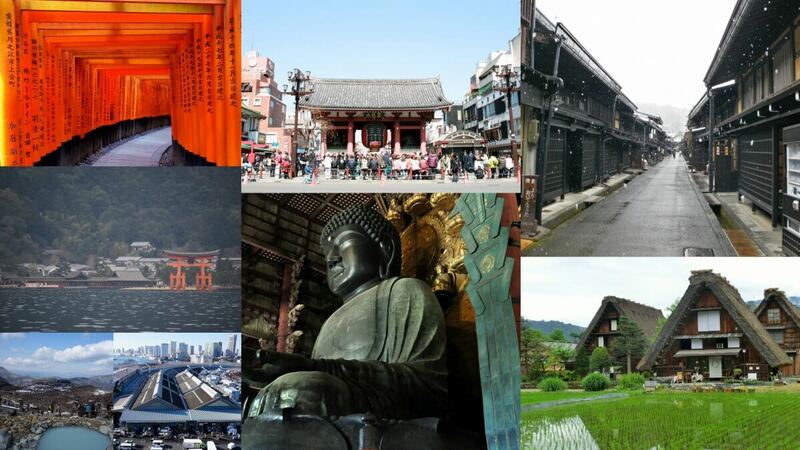 If you will visit only Kyoto, Osaka, Hiroshima and outskirt near each city, you don’t need to get JR pass.